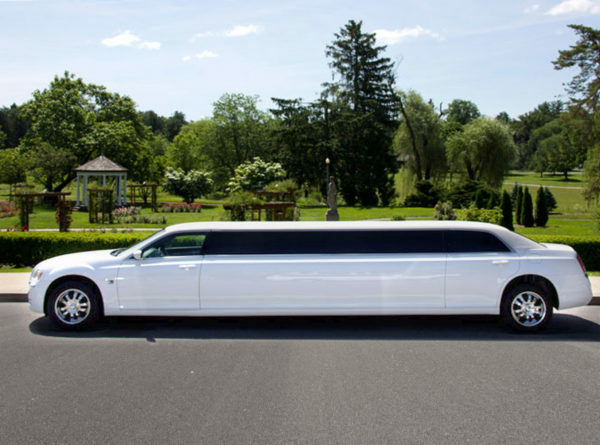 Centrally located in Allentown Pennsylvania, Bella Luxury Limousine can easily be your transportation choice to Philadelphia, New York City, Newark, LaGuardia, JFK and all points in between. Local or long distance, we are your transportation solution for all occasions. 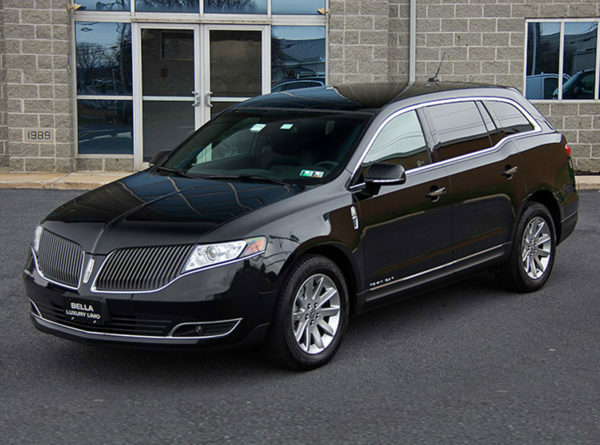 Our fleet of vehicles includes luxury sedans, luxury SUVs, stretch limousines, stretch SUVs and high occupancy passenger vans. 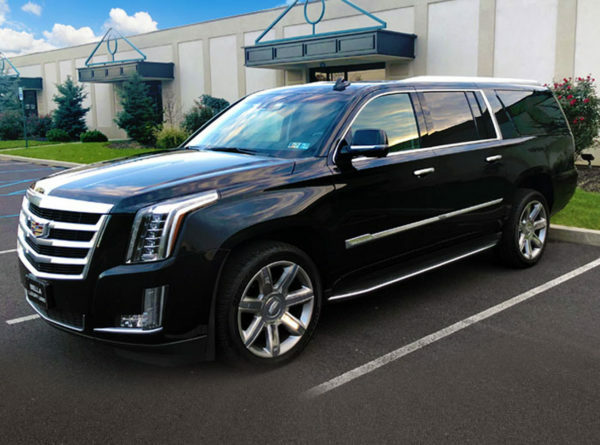 Our variety of exceptional vehicles makes Bella Luxury Limousine the perfect choice for corporate car service, weddings, proms, a night on the town, a sports event, concerts, funerals or any occasion where professional transportation is a must. You deserve to travel in style and safety. We provide a full range of options for corporate transportation. Airports, business meetings, conventions, or other corporate events – let us handle the transportation, while you tend to your business. Corporate transportation is a great way to show your clients and employees how much you value their partnerships. Our exclusive mileage rewards program shows our commitment to our corporate clients. Earn Loyalty Miles on every ride and redeem them at a later date for any service we offer. Treat your team to a night out on the town or a day at the big game. We’ll make sure they get there in style. Call us today for a quote and earn double miles on your first trip. Bella Luxury Limousine is a locally owned business; small enough to know our customers by name but large enough to meet your diverse needs. Whether you need a ride to the airport, your prom, your wedding, or anywhere else, our professionally trained and experienced chauffeurs provide door to door transportation 24 hours a day, 7 days a week. 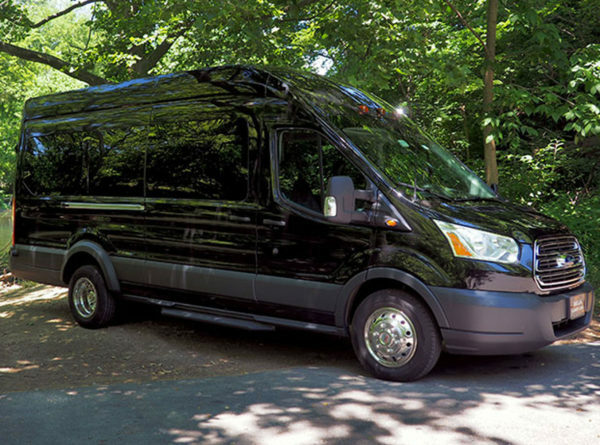 Our diverse fleet of vehicles come with all the amenities you would expect from a luxury travel experience. Call us today for a quote or reserve online. Our calls are answered by a live agent 24 hours a day. 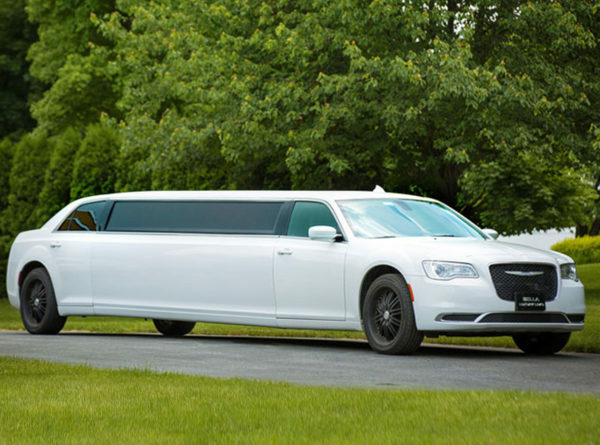 When you are looking for reliable and professional transportation to your special event or business event, look no further than Bella Luxury Limousine. Sit back and relax. Your ride is ready. Our fleet of vehicles reflect our commitment to quality and service. We pride ourselves on having a young, well maintained, impeccably clean and reliable fleet. From our stretch SUVs to our large occupancy passenger vans, each vehicle is an extension of our business and our brand. Safety meets comfort and luxury. We strive to bring you a stress-free travel experience – every time you travel with us. Explore our fleet of vehicles below. We have solutions for all types of transportation needs. Meetings. Early morning flight. Show a client you mean business. We’re here to help. It’s your big day. You’ve left nothing to chance. It has to be perfect. We understand. We speak wedding. She feels like the queen of the prom. You get piece of mind. Sometimes you just want to kick it like a rock star. Our goal is respectful professionalism. We have live operators available 24 hours a day. My little daughter got married last weekend and I have to admit your service far exceeded my expectations. The driver was on time and sharply dressed in a black tux. Words cannot fully express my heartfelt gratitude. My entire family thanks you for making this day a success. Bella Luxury provided us with great service and was very professional throughout the entire process! They were also the most reasonably priced for our budget. On our wedding day, they showed up early and were flexible and willing to follow my parents on a short cut route to the church that would get us there more efficiently. Our driver was friendly, and always opened our doors and helped me (the bride) in and our of the car every time, which was nice especially with my dress in tow. He was also willing to make an extra stop for photographs. Most importantly, he got us to all our destinations on time and safely! Would recommend this company to anyone. As a reservations agent with a major travel agency, I depend on prompt and courteous service from our affiliates to service my customers. Having dealt with numerous limousine carriers across the country, there is no doubt that Bella Luxury Limousine is a first class operation. Not a single complaint from more than 100 corporate clients served by your company in the past year and a half. Very proud to be associated with your company. Keep up the good work! Very professional and responsive to emails. Couldn’t have asked to work with a better company! Very flexible and rates were competitive. I just moved to the Lehigh Valley from Philadelphia and I travel frequently for business. I called several limousine companies to compare rates and your company was one of the cheapest. For the same quality vehicle, the ride would have cost me twice the amount in Philadelphia. Bella is a great bargain for real. We used this company for my wedding a few weeks ago. They were professional and had a great price. The driver was so nice!!! I would definitely use them again and recommend them. Your driver Steve picked me up from Newark Airport on a snowy winter evening. Despite my flight being delayed, he was very patient in waiting for me at the airport and helped me carry bags to my dorm room upon arrival. Thank you so much Steve. The best limo service and excellent customer service I would use this service again thank you for everything. Thanks for your prompt response to my online inquiry. Your website was very user friendly and allowed me to quickly make my reservation. I’ll definitely visit your site in the future. Last month we took a family cruise to Nova Scotia and rented a limo van to the Manhattan cruise terminal. The van was very clean, spacious and comfortable. Our driver Joe was very pleasant and knowledgeable in explaining the NY landmarks to some of our out of town relatives. I would highly recommend your company to my friends and family. Bella Luxury Limousine is a proud member of The National Limousine Association. The NLA and its members work to redefine professionalism and improve the luxury chauffeured ground transportation industry. The National Limousine Association has been operating since 1985 and has thousands of professional members worldwide. 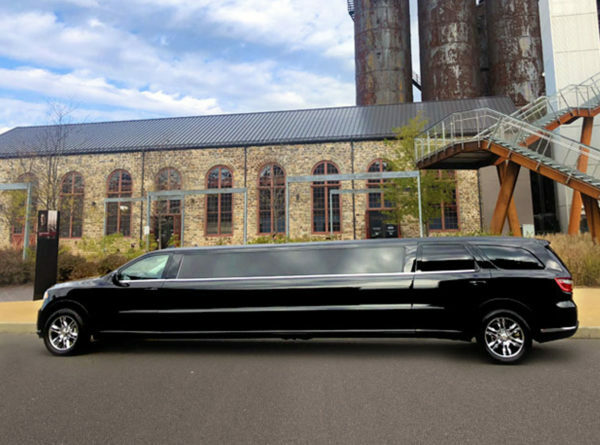 Bella Luxury Limousine is centrally located in Allentown, Pennsylvania. We are the transportation choice in the Lehigh Valley and surrounding areas including Allentown, Bethlehem, Easton, Center Valley, Macungie, Emmaus, Hellertown, Coopersburg, Bath, Nazareth, Breinigsville and Fogelsville. Local or long distance, we deliver transportation excellence for every occasion.